There IS A District Attorney Who Will Prosecute Vaccines; Let’s Do It! If anyone ought to know the ins and outs of prosecutorial law, one would think it would be a District Attorney in the United States of America. What if that District Attorney happens to be the father of a young boy who is on the Autism Spectrum? Does that change the law because, as the DA says, there’s circumstantial evidence that is supported and documented by before and after photos, videos, etc.? Well, that DA is the Criminal District Attorney for Bexar County (San Antonio) Texas, Nicholas ‘Nico’ LaHood . Categorically, LaHood states that vaccines can and do cause Autism! He knows from his son’s experience and he also knows from his legal and prosecutorial work that there is a valid ground to prosecute regarding the harms vaccines do, in particular causing Autism. DA LaHood follows evidence, plus he believes there IS definite evidence to prove vaccines cause Autism. In the interview he and his wife gave to the VAXXED co-producer Polly Tommey, LaHood tells the chilling and revealing story of his friend, a Merck scientist whose wife is nurse, who did not vaccinate their four children because the Merck scientist knows what is in vaccines, and would not give that to his kids! 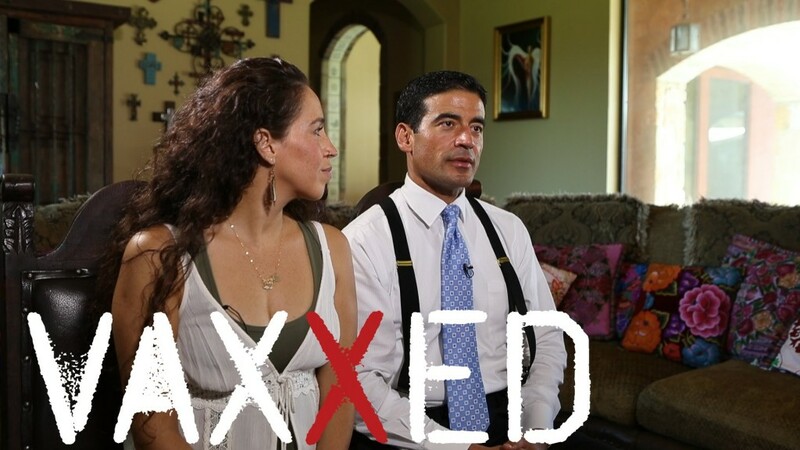 DA LaHood would be willing to go to trial, prosecute and litigate that vaccines cause Autism! Source: There IS A District Attorney Who Will Prosecute Vaccines; Let’s Do It!